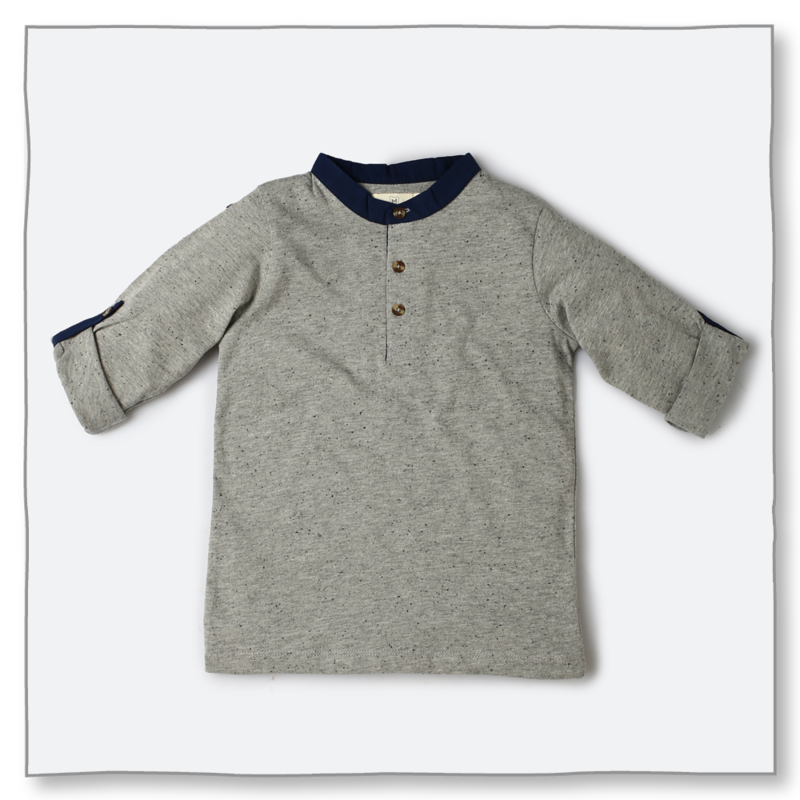 A Henley collar tee with turn ups on sleeve. 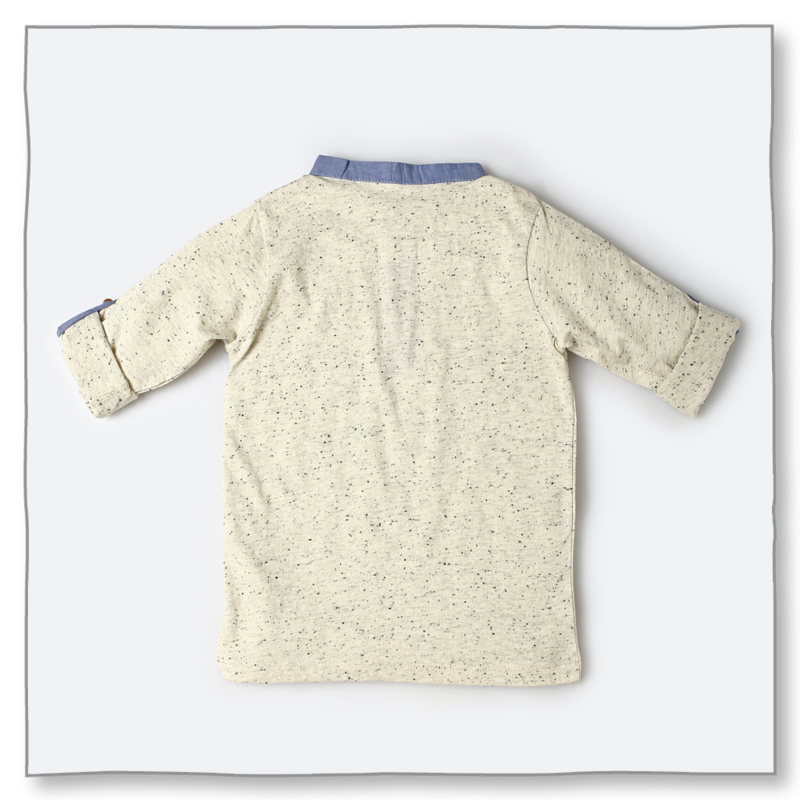 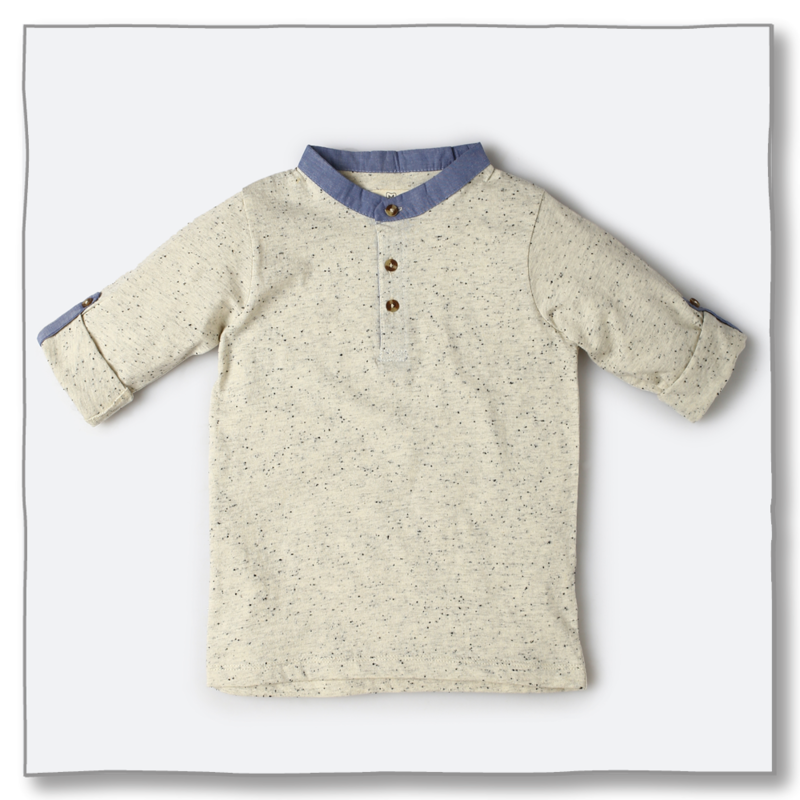 For 2-3yrs : Length 41.9cm// Chest 31.75cm// Shoulder 25.4cm// Sleeve length 31.7cm// Neck Circumference 35.5cm. 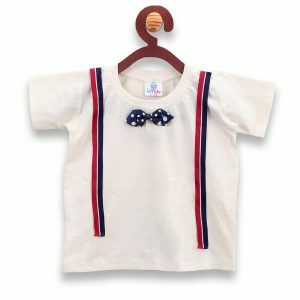 For 3-4yrs : Length 44.4cm// Chest 32.3cm// Shoulder 25.6cm// Sleeve length 34.2cm// Neck Circumference 34.9cm. 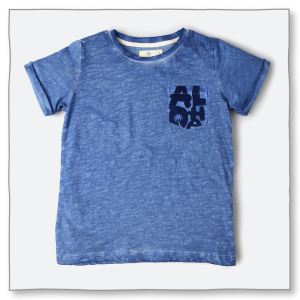 For 4-5yrs : Length 45.7cm// Chest 33cm// Shoulder 28.5cm// Sleeve length 34.6cm// Neck Circumference 35cm. 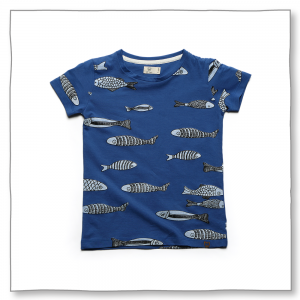 For 5-6yrs : Length 48.2cm// Chest 35.5cm// Shoulder 29.2cm// Sleeve length 36.8cm// Neck Circumference 36.8cm. 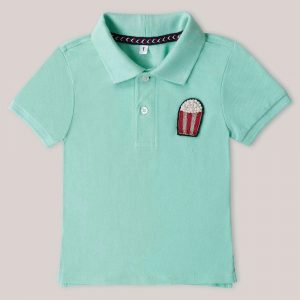 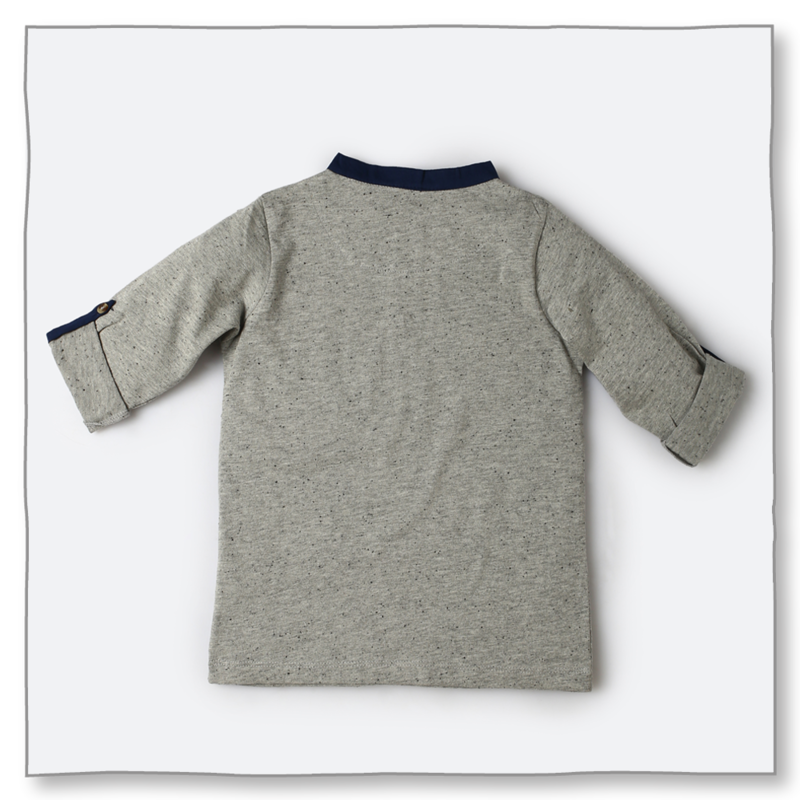 For 6-7yrs : Length 50.8cm// Chest 38cm// Shoulder 29.5cm// Sleeve length 37cm// Neck Circumference 38cm.